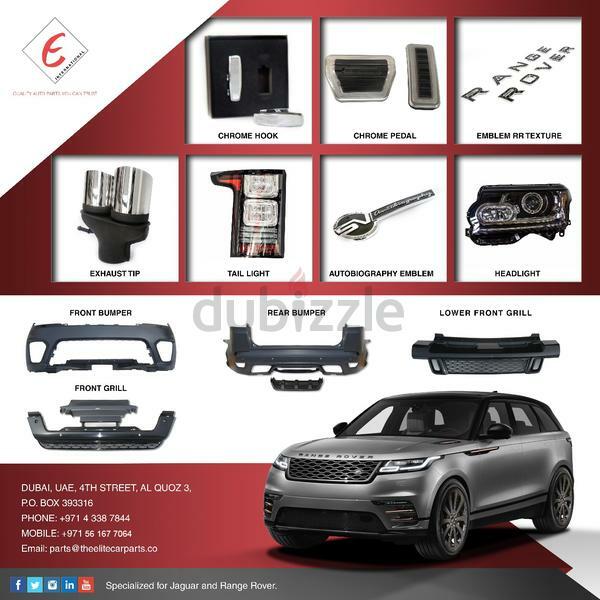 Genuine Range Rover and Jaguar body parts up to 2019 available on best prices. 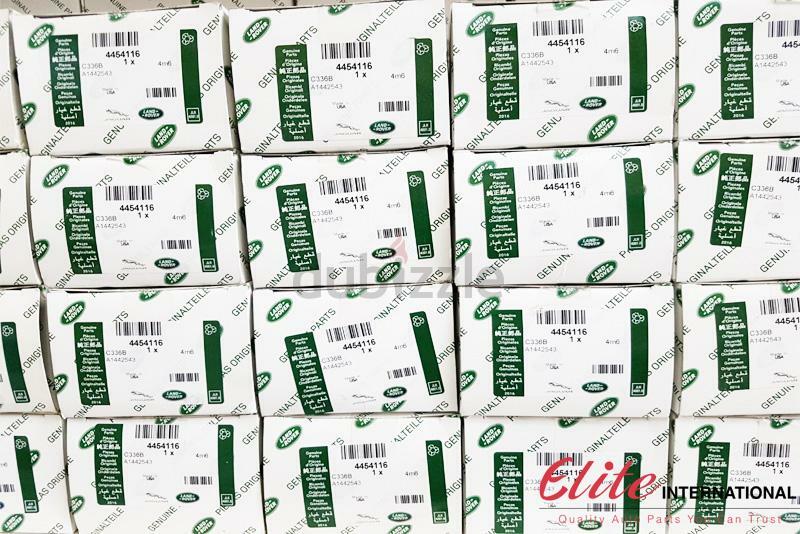 *Price above is only indicative and will vary based on your specific requirements. 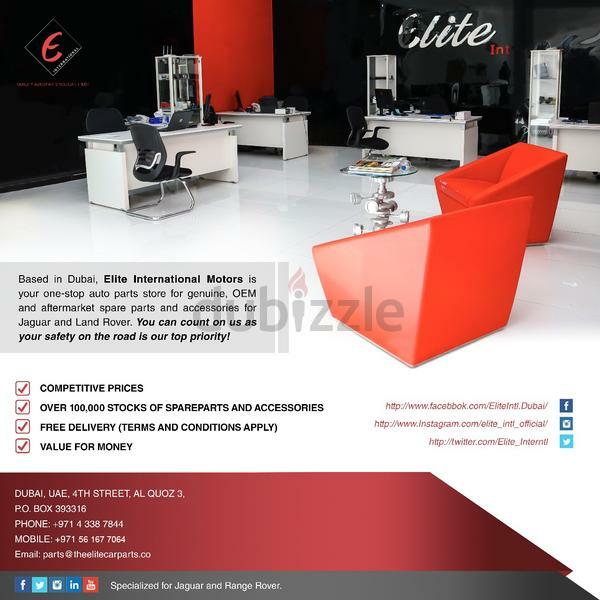 Please contact us for more details on our prices for each product shown on this ad. 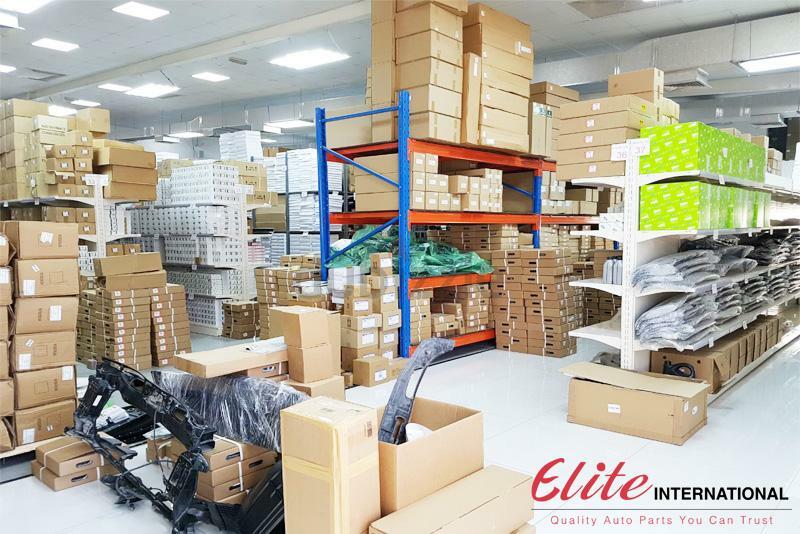 - Over 150,000 stock items of Original, OEM and Aftermarket spare parts and accessories for Jaguar & Land Rover available in our Al Quoz warehouse. 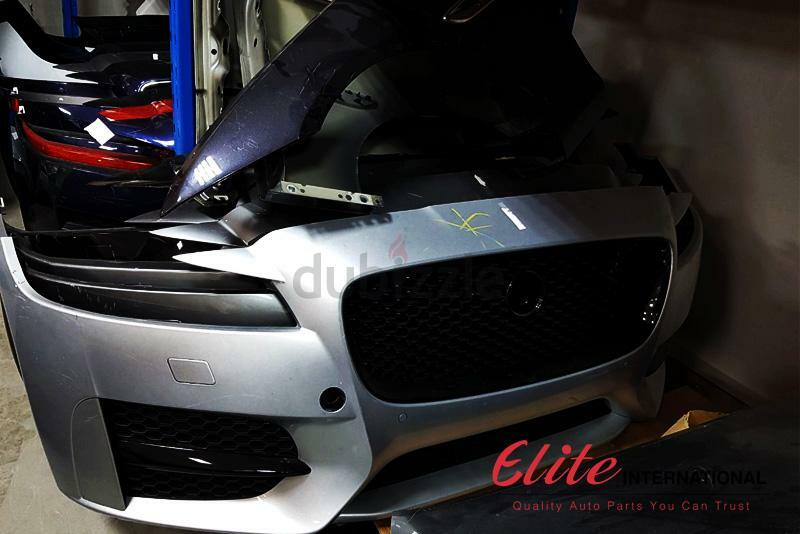 Like us on Facebook to check out our huge stock of spare parts and accessories and know tips on how to better care for your vehicle. 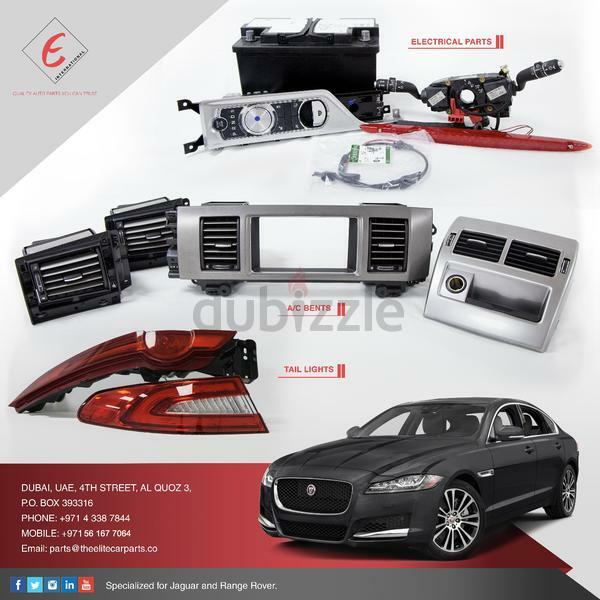 Twitter is the perfect place to hear about our latest parts and accessories. Follow us today! 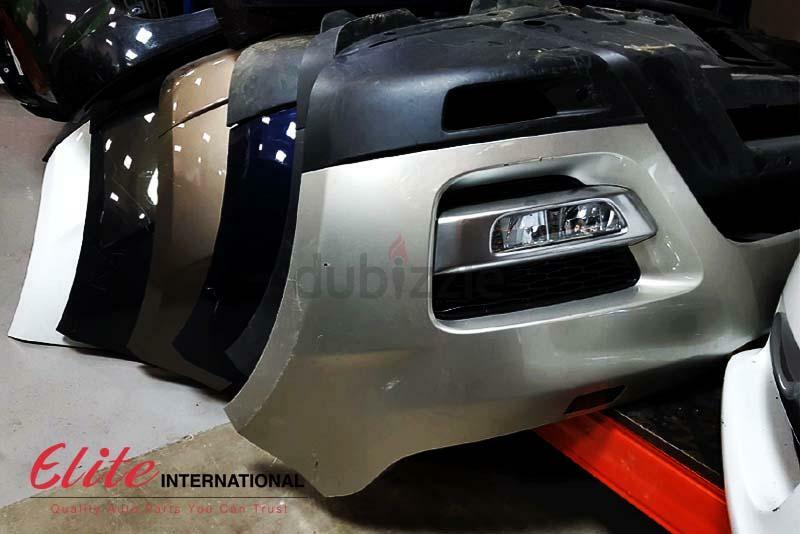 We understand how challenging it is for vehicles owners to look for genuine Jaguar and Land Rover car spare parts, given the proliferation of counterfeit products in the market. 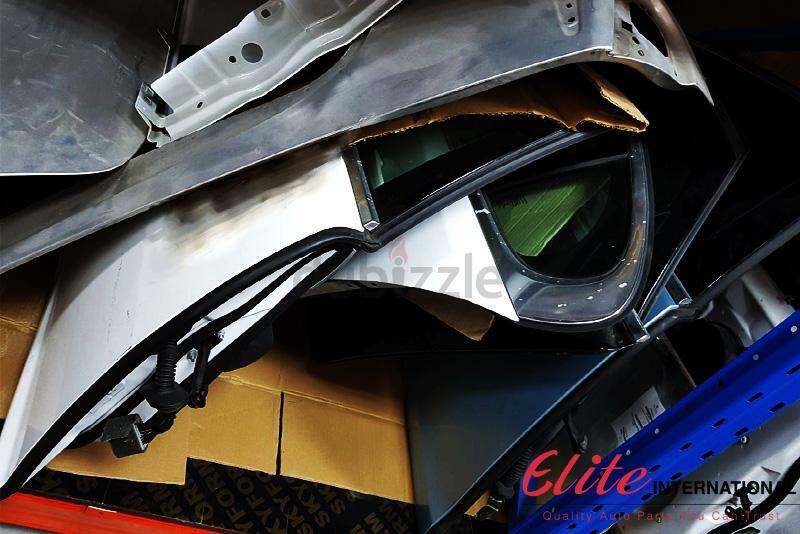 This is why we keep a huge stock of original, OEM and high quality aftermarket car spare parts as well as auto accessories that are designed to perfectly fit your car model. 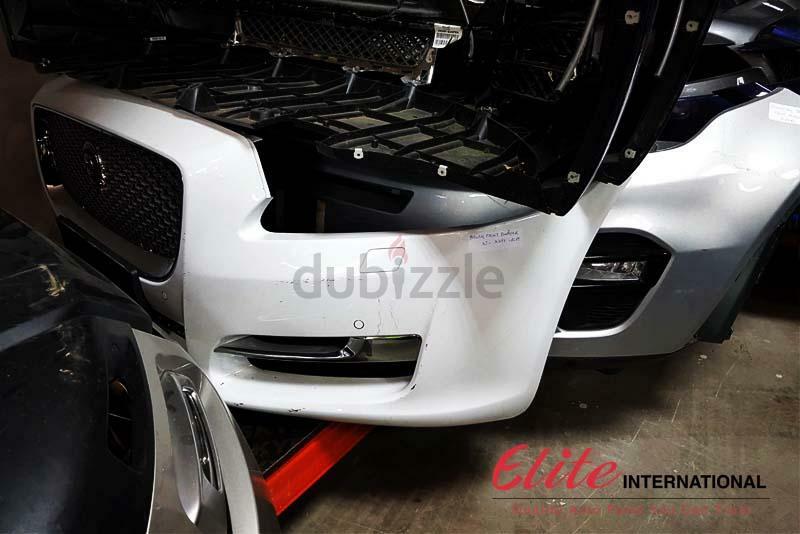 Based in Dubai, Elite International Motors is your one-stop auto parts store for genuine, OEM and aftermarket spare parts and accessories for Jaguar & Land Rover. 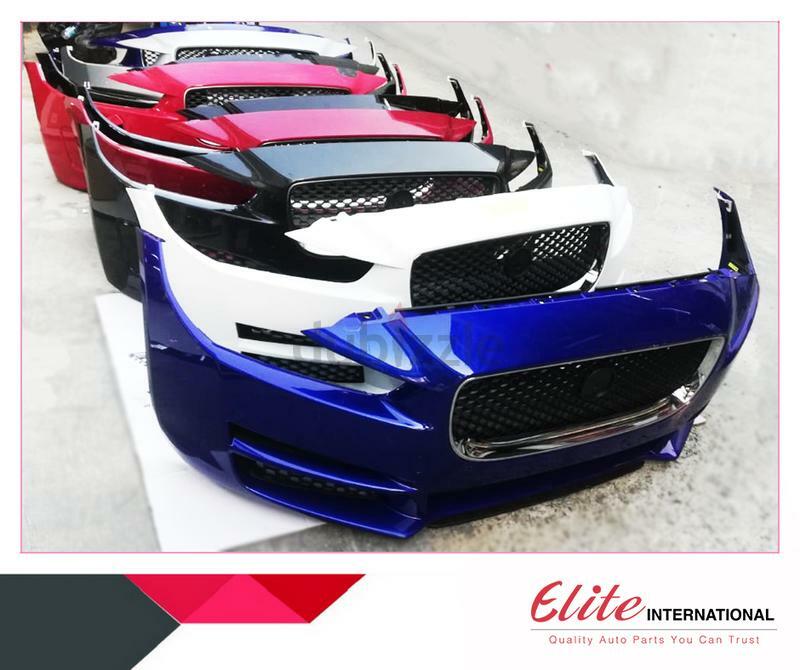 You can count on us as your safety on the road is our top priority!